I was getting ready to have dinner when I saw the pear tree in fall colors. I had to stop what I was doing and run out with the camera. We don’t get much in the line of fall colors here, so I was excited. 🙂 And I’m working on a jester bear for a possible order. An earlier one I made won first place for Best Dressed Bear. Shadow and light on fall colors on the pear tree. Pears still clinging to the tree, frozen, defrosted, still clinging. And I’ve finished proofing the print copy of Call of the Cougar, so off to work on Phantom Fae! I finished a first “official” edit of Jaguar Pride, but will make several passes through before I send it to my beta readers. I have a scene I need to add, and a couple of loose ends I need to cover. But I needed to take a break from it and start fresh with it tomorrow. Which means? I started on the 13 guest blogs and interviews for the Silence of the Wolf blog tour in March. Before long, it will be time to turn them in. (5 down, 8 to go) I also read 4 of the 8 Rita books I needed to judge and they are due in March. So it all takes time. But… I had to take a break, so see what I did on my break? 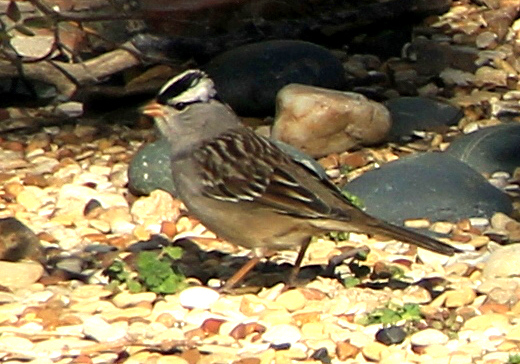 Still, the winds were so high, they scattered finch seed from the feeder on the patio, and I had white crowned sparrows feeding. 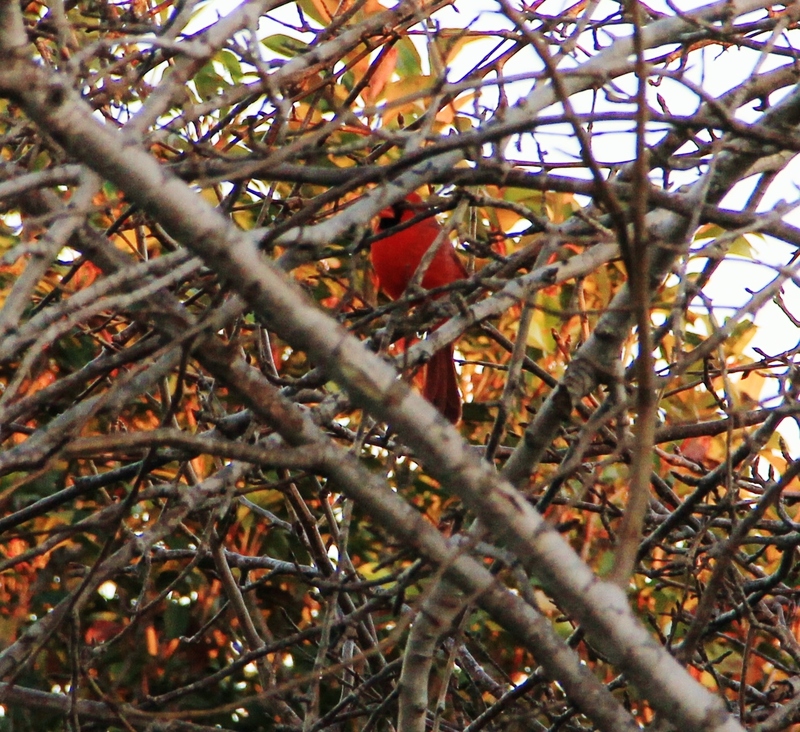 And my male cardinal came down also. And here is the female. He joined her when I came out to take a picture of them, but I missed capturing them together. 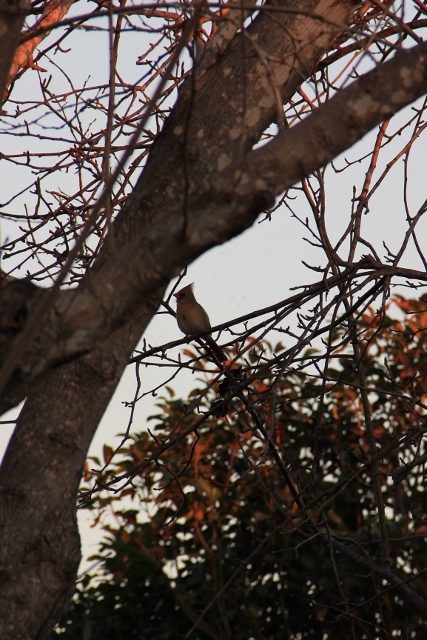 So do you have feeders out and if so, what kinds of birds are you getting?